A new special edition of Doctor Who Magazine is out now, bringing you the complete visual guide to some of the missing First Doctor adventures. 106 Doctor Who episodes from the 1960s are no longer held in the BBC’s Archives. The original videotapes were erased, reused, or destroyed. Fortunately for fans, some of these missing episodes survive as “telesnaps” – essentially photographs of the film footage itself – designed to be a record of work for directors, designers and actors in the days before video showreels. This 100-page Special from Doctor Who Magazine presents all of the lost episodes from the First Doctor’s era that still exist in telesnap form, featuring the stories Marco Polo, The Crusade, The Savages, The Smugglers, and the First Doctor’s final adventure, The Tenth Planet. There’s also a fascinating feature on John Cura, the man who took these telesnaps, and a look at how and why these classic pieces of television were lost from the archives. 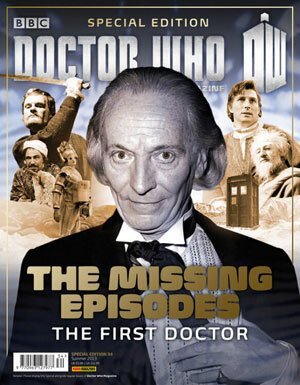 Fill the gap in your collection, with Doctor Who Magazine: The Missing Episodes – The First Doctor. It’s out now, price £5.99. I got this today. It is very good, but it could have been in multiple volumes to allow them to do all of the missing episodes, not just a handful. There may well be further volumes for Troughton and there would probably need to be at least two if not three for him as many of his missing stories have Tele-Snaps existing. I actually found this quite disappointing. It doesn’t feature anything on Galaxy 4, the Myth Makers, the Daleks Master Plan, the Massacre or the Celestial Toymaker. Not even something explaining the storyline. I agree because it just focused on the eps which had telesnaps and not the others, which was quite disappointing but happy that it had telesnaps. I was,nt even aware that there werent any telesnaps for the daleks masterplan or the myth makers.One of the reasons i bought this was to see if those scenes in volcano with the meddling monk were in existence.sadly not. Is there anywhere online you can buy this? Yes, it was out Thursday. 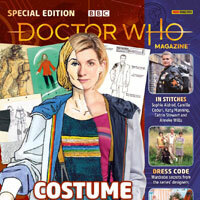 This special edition of DWM is published on Thursday (21 March), and as well as telesnaps for the missing episodes of Marco Polo [I wonder if this includes episode 4…], The Crusade, The Savages, The Smugglers and The Tenth Planet, the magazine features an introduction article from Jonathan Morris, and an article about John Cura – the man who took the telesnaps – written by Richard Bignell. i doubt they’ll include episode 4 of marco polo cus they haven’t been found… have they? It includes a page long summary of the episode. Is this this month issue or simply a special one? 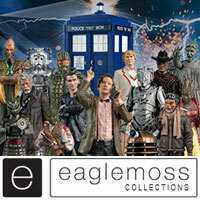 Yeah, maybe a Peter Cushing set with him, Susan, Barbara, Ian, and a Dalek. 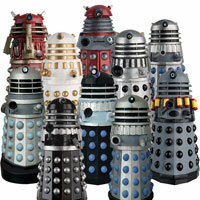 Or him, a Roboman and two Daleks. 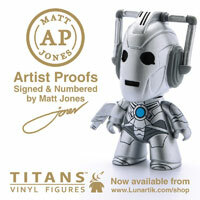 Don’t waste time on unofficial figures unless they are from comic books OR BIG FINISH. are there any with the master in? also who is the main master to use hypnotism? Ainley’s Master used hypnotism and did Simm’s Master. Eason’s is a newsagents. 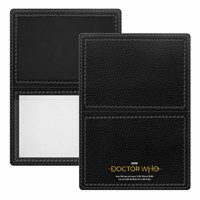 When this comes out, it will replace the previous special, Eleventh Doctor Companion Volume 6. Are these not the magazines containing the telesnaps of the missing episodes as opposed to features on the episodes themselves? Am I right in thinking that every 1st and 2nd Doctor missing episode is available on soundtrack, which you can buy …its only the pictures that are missing. So every single episode/story is availble (once this year’s releases have been made)…or are there any aired episodes that are completely missing in picture and sound? Also, Rooners, there are many clips and Tele-Snaps (photos taken from the televsion on original broadcast) that still exist that give us a visual idea of what was seen on screen. No they won’t mentioned that; there have been loads of hoaxes in the past. This one isn’t special. Plus this is an Special dedicated to publishing Tele-Snaps. 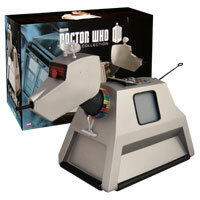 super, i think tele-snaps will always be a massive part of doctor who! I know it’s a little off topic but, nice profile pic. Also yeah, the cover art does look really good. 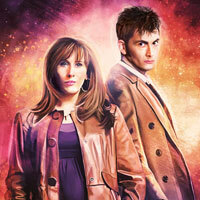 Gotta agree with the profile picture, looks like you have the Tardis and the Doctor blended together. Yeah, changed my gravatar, I found it on a certain web search engine. I also use it as my wallpaper. Where can you get these if you live in America? There is only one store that I know sells them, though they are for twice the price, individual selling only, and about 50 minutes away from my house. Wednesday 20th this is out. The Daleks’ Master Plan episode 12. Drjakeyoung, I think you mispelled ‘Fury from the Deep’. ‘Furry from the Deep’ sounds like the title of a third yeti story. Made me laugh. Sounded to me like a muppet parody poster for Fozzie as the Kraken. Beautiful cover to what will surely be a really interesting magazine. Love reading about the missing episodes! 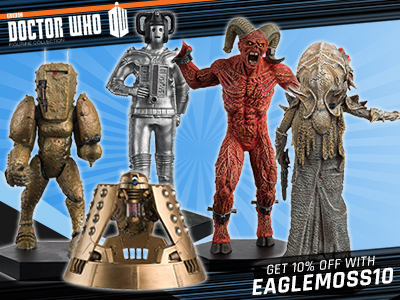 if they do a patrick troughton one (which is inevitable) then i might get both ,cos anything to do with missing episodes is more or less interesting to me. 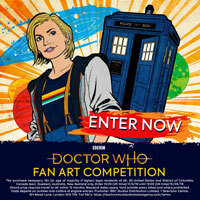 This looks interesting and I love the cover, hope they do one for Troughton too. 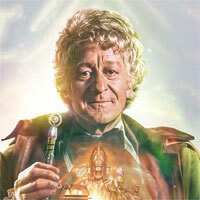 it would be AMAZING if this weeks doctor who magazine reveled they found lost episodes!